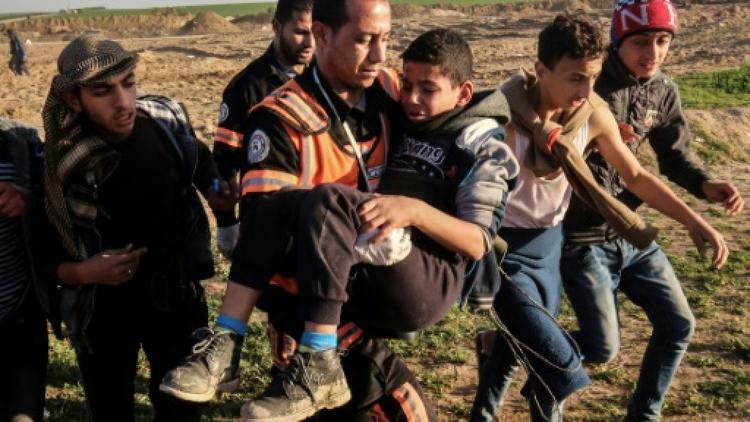 Amman (AFP) – Around 40 children have been killed and many injured in one year of demonstrations along the border between the Gaza Strip and Israel, the UN said Thursday, calling for an “urgent de-escalation”. Thousands of Palestinians have gathered at least weekly along the border in protests . . .
Around 40 children have been killed in the protests and “nearly 3,000 others have been hospitalised with injuries, many leading to life-long disabilities,” the UN children’s agency (UNICEF) said.